April 27, 2017 This post may contain affiliate links. 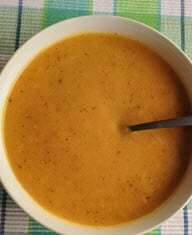 Butternut soup is one of those oddities in nature. 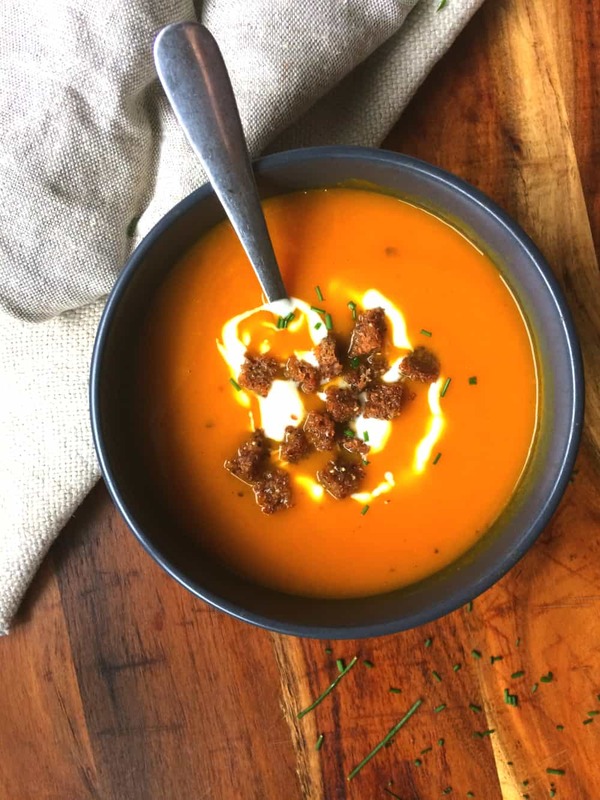 As a vegetable its a little dull, but once you blend it into a soup you get a delicious, creamy texture that keeps you coming back for more. This three ingredient slow cooker version is unbelievably simple and tastes incredible! I LOVE this soup. It’s thick, creamy and tastes gorgeous and it’s really easy to make. As in – foolproof! It uses only three ingredients and takes about 1 hour from start to finish in a slow cooker. Use a stick blender (or pop it in a standard blender) to get it to a beautiful smooth, creamy consistency. It’s just not the same if you mash it. I know it’s a pain to wash, but use your blender anyway. It’s where the magic happens. 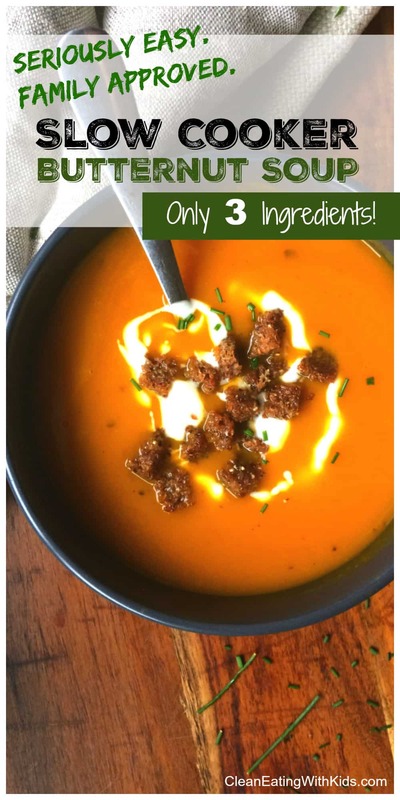 My tips on introducing this recipe to kids – I recommend giving this dish a go if you are trying to get your children to eat butternut or if this is the first time you are introducing it to them. 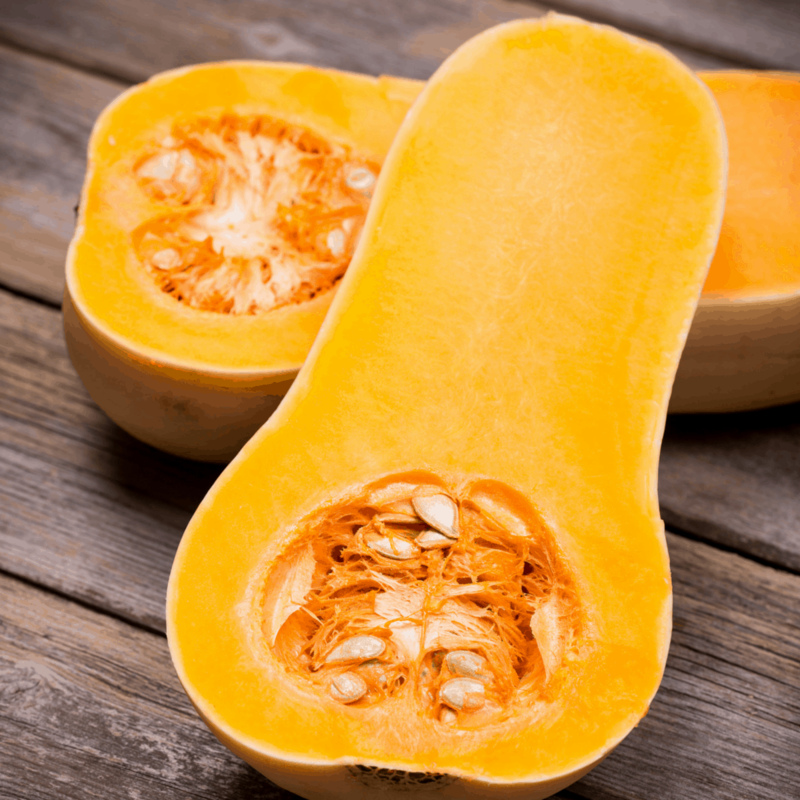 The texture is kid friendly and butternut is a mild tasting, sweet pumpkin/squash. When I first gave this meal to my kids – Two of them gagged. Two of them loved it. Serve it with buttered wholemeal toast slices for dipping. It took trying it three times before everyone ate it. My son (the fussy one) still scrunches up his nose now eats it happily . 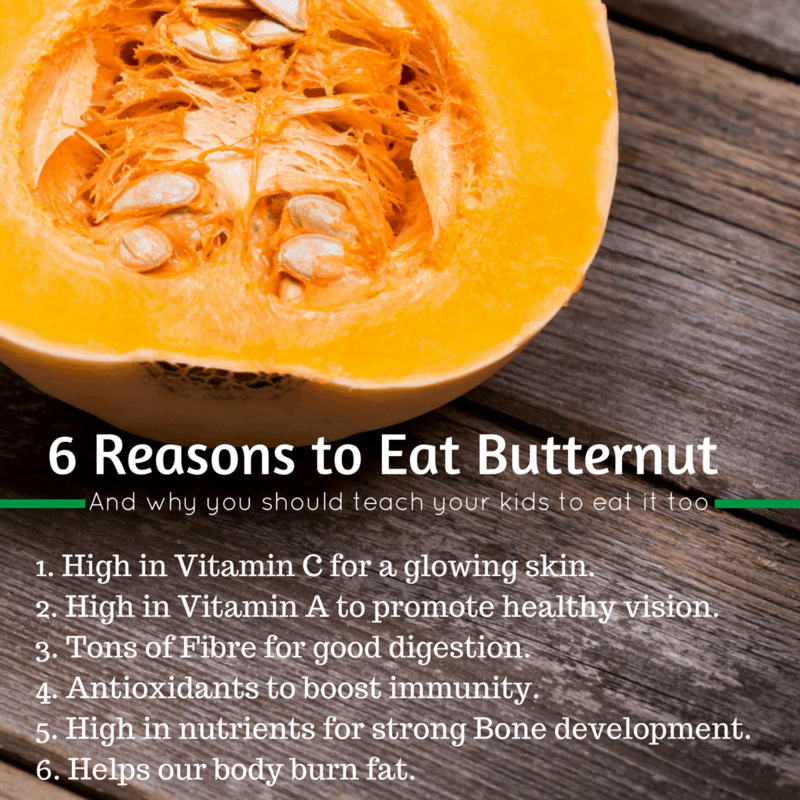 Teach them to eat: Butternut. Done! In a hurry? Don’t waste time peeling your butternut. The skin is really thin so it softens when cooking. It also adds a bit more of grainier texture to your finished soup. Once you have blended it, you wouldn’t even know that you left the skin on. Fast, fulling soup full of vitamins and the good stuff. Turn Slow Cooker to high. Add onion and butternut. Leave to cook for around 15 minutes to soften slightly. Add hot water and cook for another 40 minutes. Blend using a stick mixer until smooth. For a creamier soup, stir in coconut cream. Serve with buttered wholemeal toast.